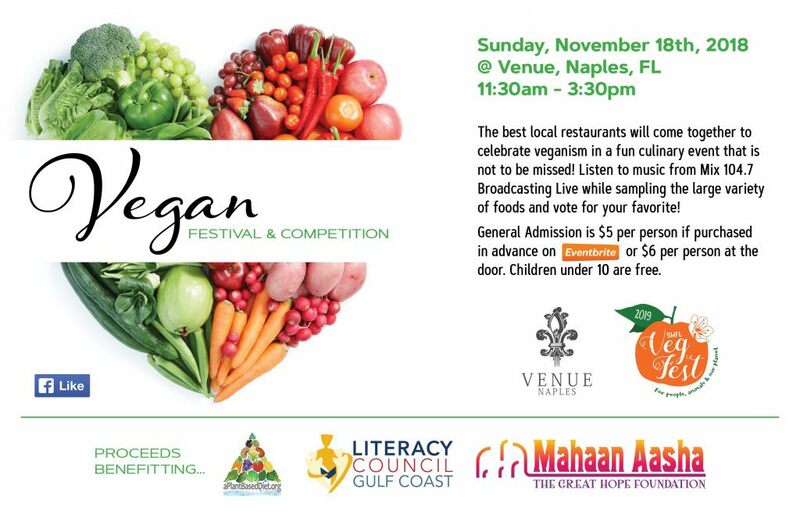 Sunday November 18th the best local restaurants will come together to celebrate veganism in a fun culinary event that is not to be missed! Listen to music from Mix 104.7 Broadcasting Live while sampling the large variety of foods and vote for your favorite! Raffle Prizes, Silent Auctions, and much more! Save money by purchasing tickets ahead of time! General Admission is $5 per person if purchased in advance on Eventbrite or $6 per person at the door. Children under 10 are free. To purchase food samples, you’ll need to purchase Food Tickets – which are sold in sheets of 10 for $10 at the event. These tickets are the only accepted currency at each food vendor station, with most samples priced between 1 and 7 tickets. 1 ticket = $1.